It’s jam-packed with cool summer fun, furry cuties, celebs, quizzes, posters and prizes! Plus, we have 15 awesome free gifts! 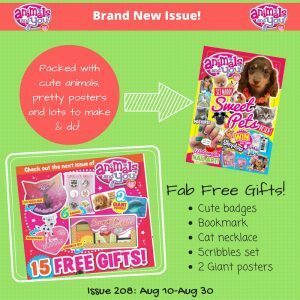 Next story Fab Free Gifts!